The S-3D rocket engine used a heat exchanger to use turbine exhaust gasses to heat and expand liquid oxygen and gaseous nitrogen to pressurize the oxidizer and fuel tanks, respectively. Unfortunately, there's little detailed information on the Internet concerning the S-3D engine, so there's little information for me to pass along. 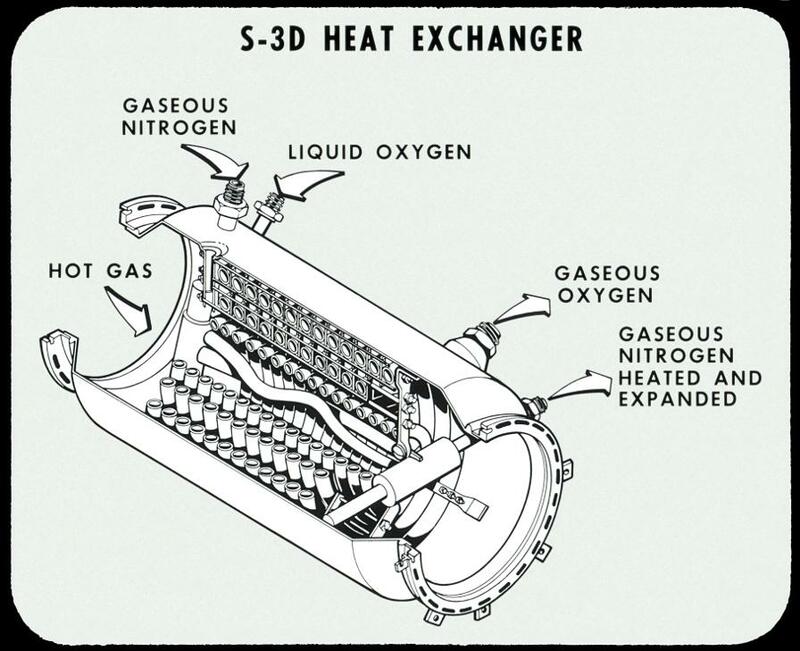 The S-3D's heat exchanger is similar in concept to the H-1 engine's heat exchanger, although the latter's heat exchanger had two rows of coils and only converts LOX to GOX while the diagrams below depict three rows on the S-3D's heat exchanger. 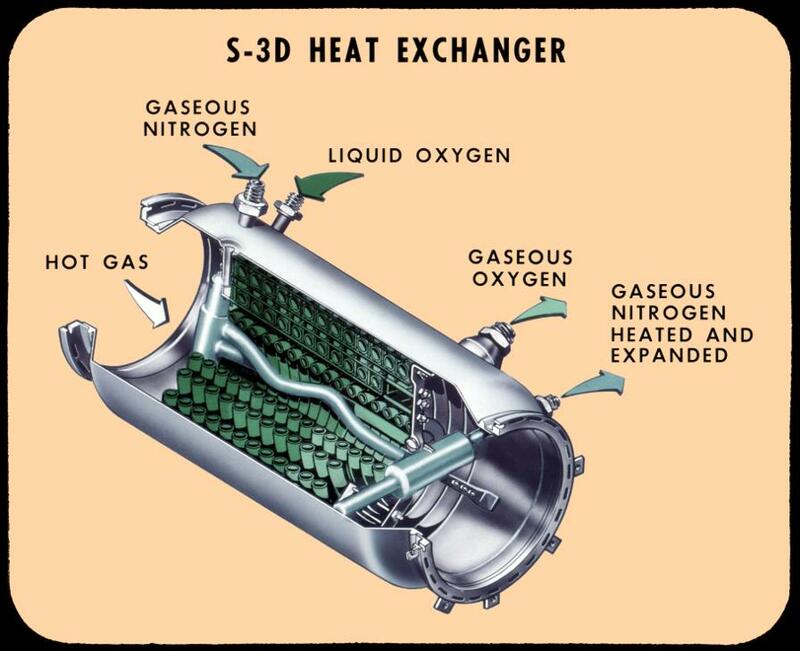 The S-3D heat exchanger was also a dual-pressurant system, including a facility for expanding nitrogen gas. The nitrogen subsystem was less elaborate than the LOX/GOX subsystem, consisting of little more than two tubes running the length of the heat exchanger, rather than using coils like the oxygen subsystem (presumably because the input gaseous nitrogen was at approximately ambient temperature while the LOX was at cryogenic temperatures). In a Jupiter missile, the heat exchanger was mounted on the wall of the missile's aft skirt, midway between the turbine and the turbine exhaust port (the latter of which provided roll control for the missile). 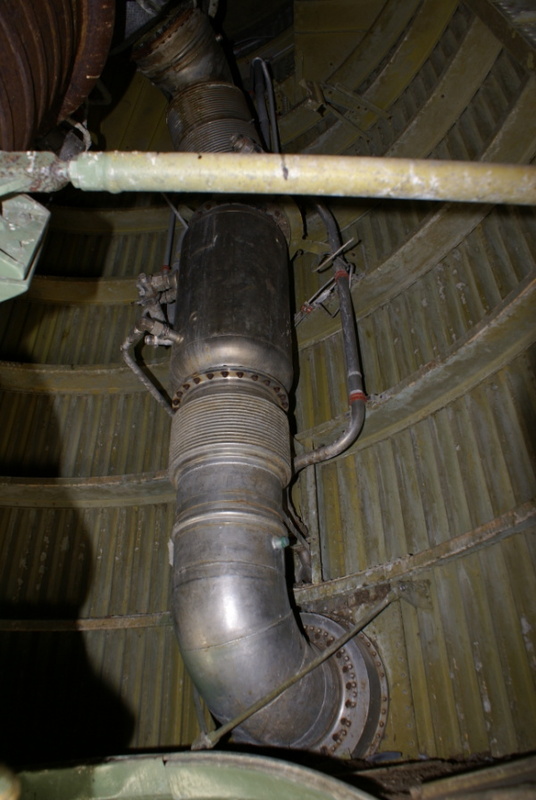 The turbine exhaust duct had bellows sections both forward and aft, presumably to allow for both thermal expansion and vibration of the flight. From my Jupiter interior picture set at Air Power Park.